PressureMate™ and Compass™ devices are designed to enhance comfort for the practitioner and the patient when applying external compression of the femoral artery. Practitioners apply external pressure with PressureMate and Compass in much the same way that they would when applying manual pressure. 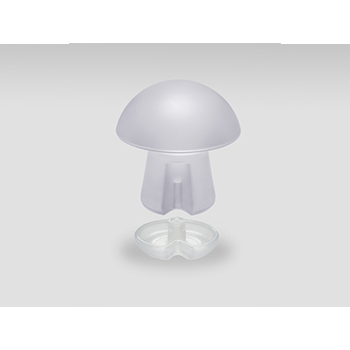 PressureMate is comprised of a weighted non-sterile, reusable handle. Compass is a rounded top polymer handle. 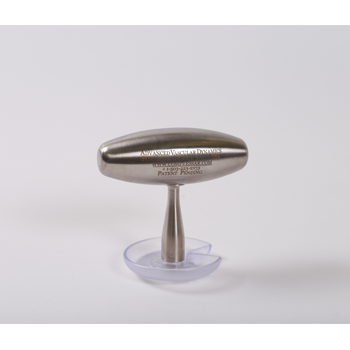 Both devices are used with a sterile, disposable SuperComfort Disc (Model 5303 or Model 5305) to aid in the practice of manual compression. The PressureMate and Compass Compression Assist Devices are precision systems indicated for use to provide hemostasis of the femoral vascular access site following femoral artery catheterization procedures.